There are 2 standard sizes in this pendant collection – Diameter 650mm round and diameter 900mm round. 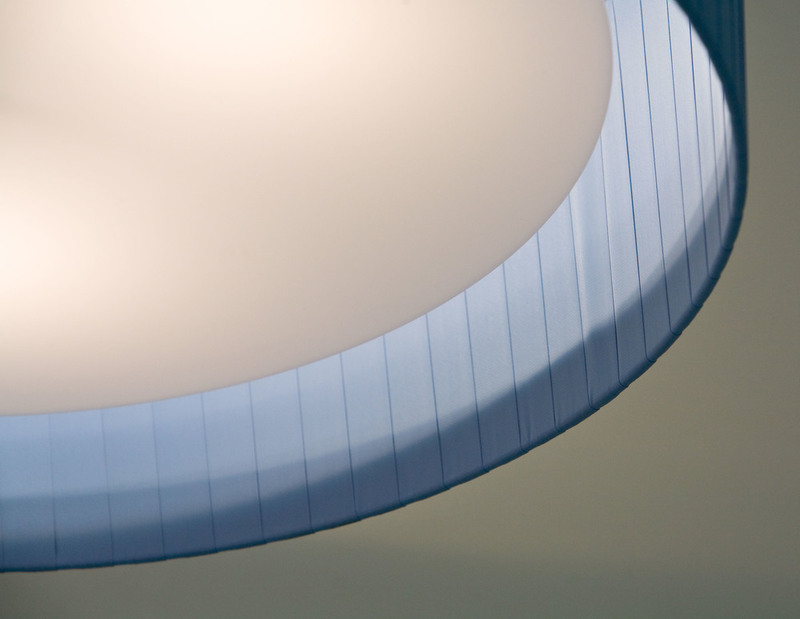 Each pendant features a lampshade of soft pleated fabric in a choice of slate grey, sky blue, black or white. The suspension is available in stainless wire with clear cable or anodised aluminium rod that is adjustable on installation.